You have already seen this image. You, and lots of other people. It is estimated that this is the most viewed photograph ever taken. Further, I would guess that in some places, this is the most recognizable image – computers with windows can be much more common in some areas than knowledge any of the traditional famous masterpieces. 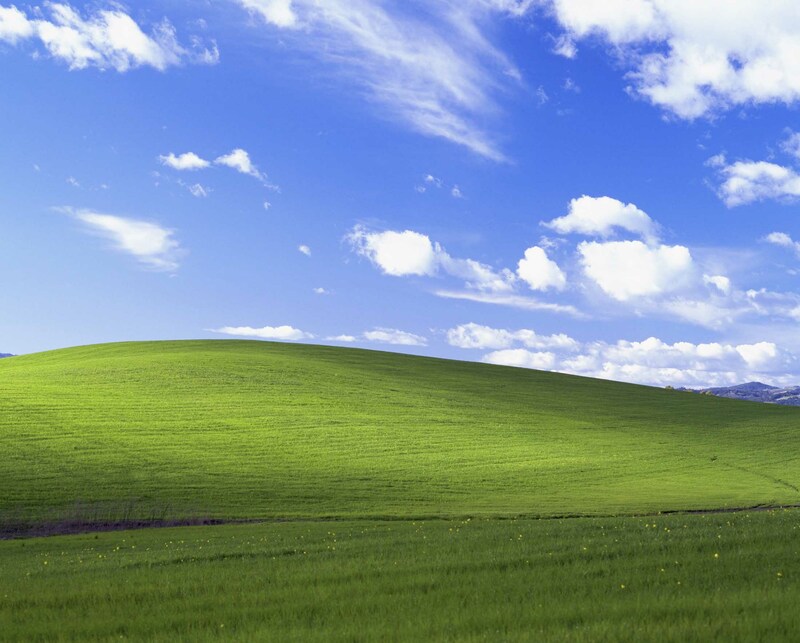 Starting next month, Microsoft will select a new default Windows XP wallpaper (yes, people still use it!). Since XP was released, the image above, entitled “bliss,” has been on the desktop. Chuck O’Rear took this shot on a Mamiya in 1996, and then licensed it to Microsoft. Check out the interview with him here ( link )- where he discusses taking the photo, and then selling it (spoiler: he should have asked for WAY more money). If you go North out of San Francisco to Napa Valley you will travel along route 121. 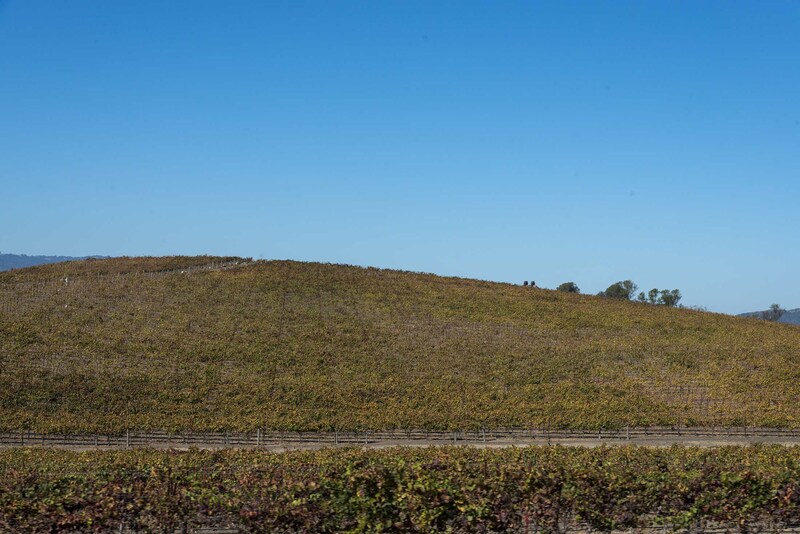 On your left you’ll pass Las Madres vineyards- the site of Bliss. On my trip to Napa in October of 2013 I wanted to make a point of trying to find the location. However, I did not expect that the spot would be as hard to locate (there are lots of rolling hills around there), or that stopping on that road would be so dangerous. There’s really no way to pull over, so I took a pathetic total of 3 shots- two while moving out the window, and the one you see below. I drove a bit too far down the road, and zoomed in too much, and the landscape is no longer a field, and it’s pretty sad in general… but it is still of that famous hill! It was cool to be there, in person, at the location of the most viewed photo ever taken. Not exactly photography bliss, but you get the idea.